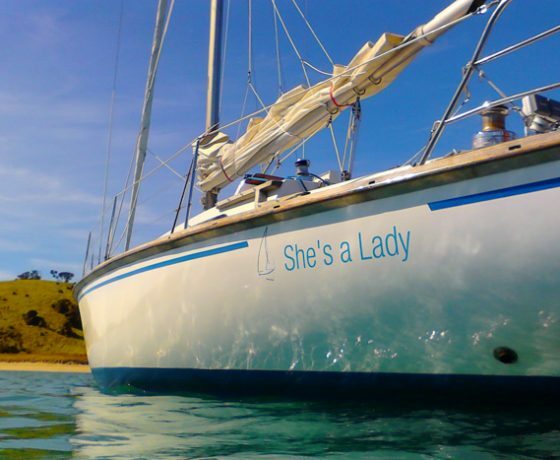 Jump aboard ‘She’s a Lady’ for a day’s sailing adventure in the beautiful and renowned Bay of Islands, an experience that you will never forget as you sail amidst the 144 islands. 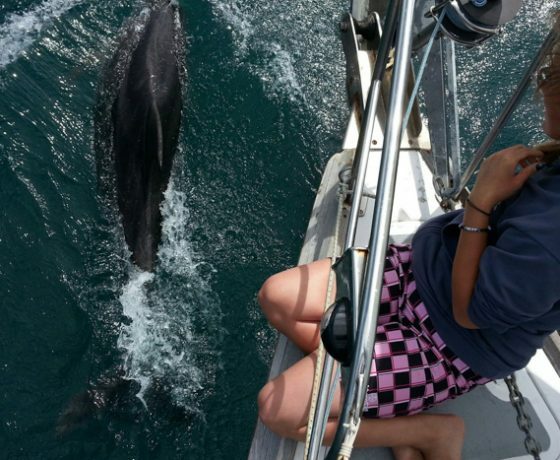 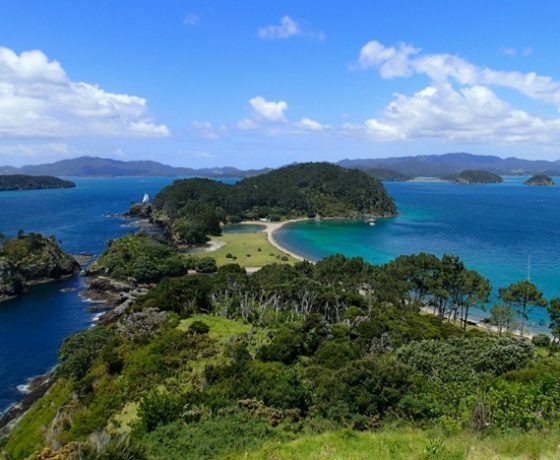 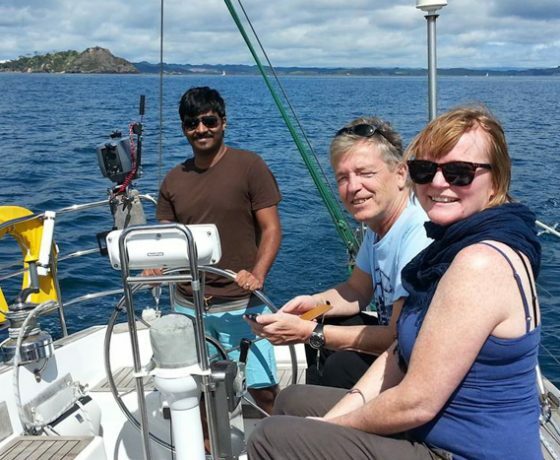 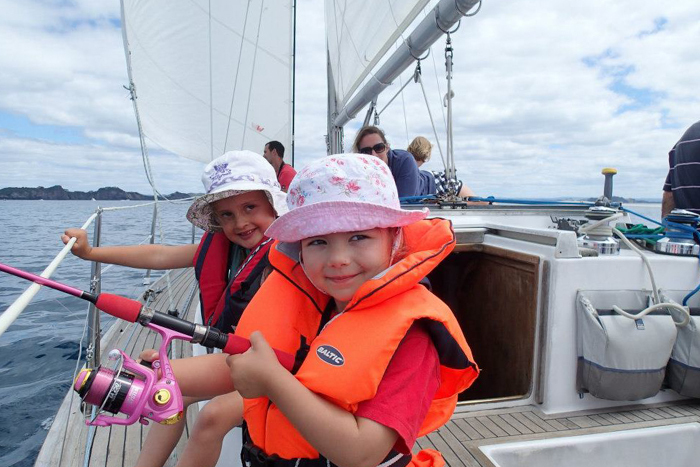 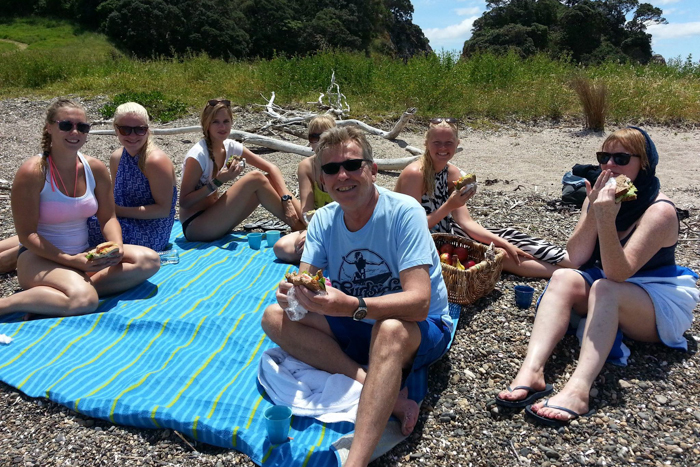 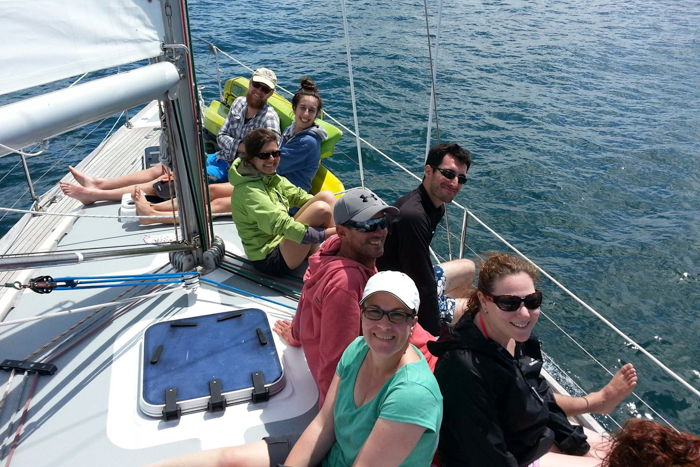 Our Day Sail departs from Paihia and Russell and caters for all ages with no sailing experience necessary. 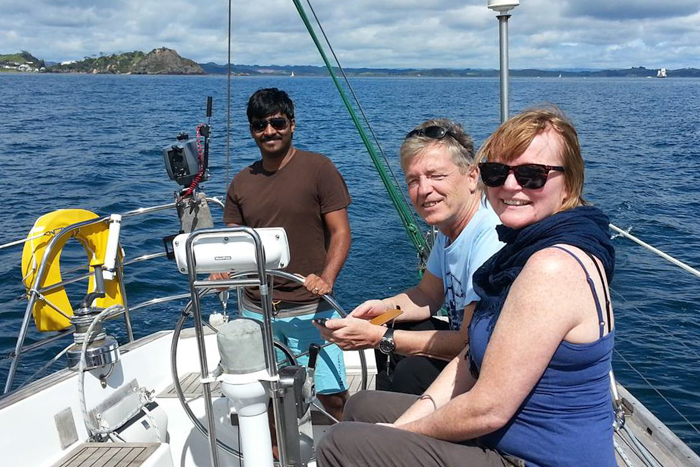 If you wish to participate we can show you the ropes, and more than welcome to take the helm, help hoist the sails or you can just kick back and relax and let us do the work. 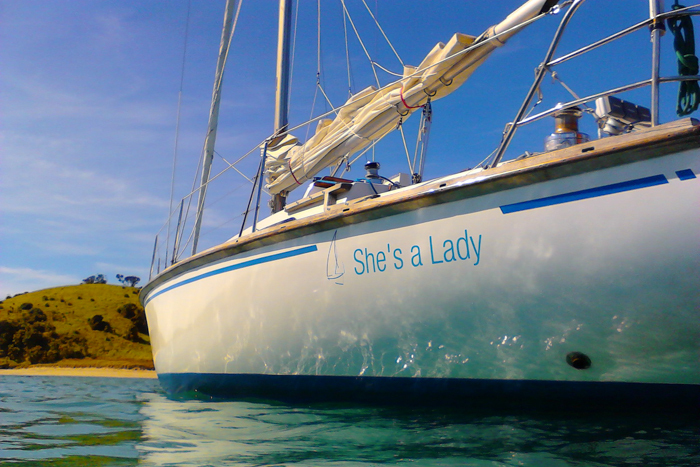 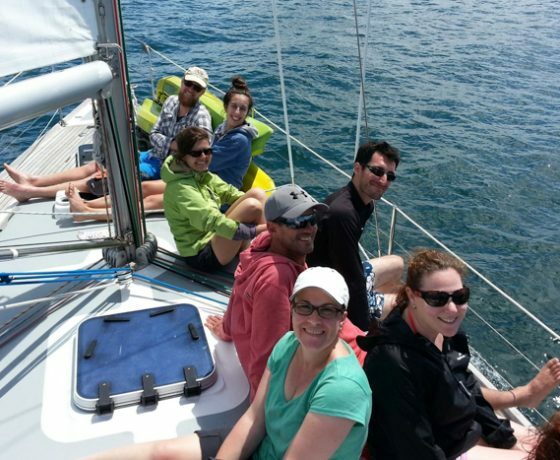 ‘She’s a Lady’ attracts friendly people who want to have a fun day’s sail. 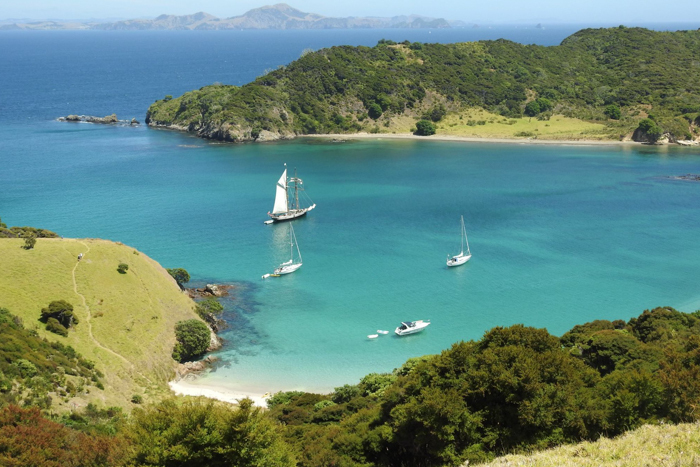 Feel the wind in your hair, learn about the area’s history, the marine life and natural wonders, as we cruise amongst the islands and stunning bays. 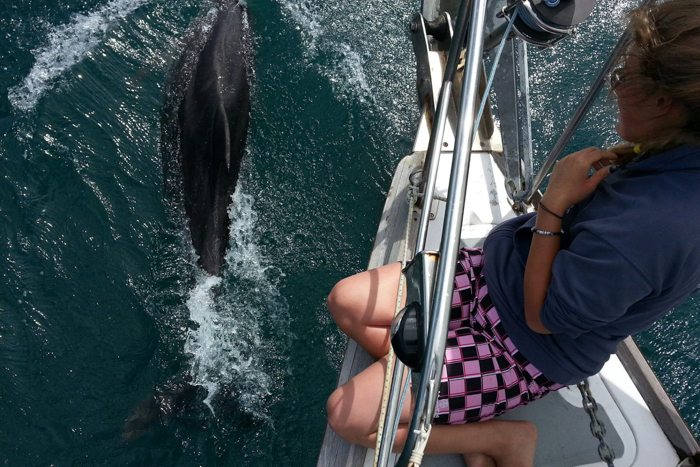 It’s possible we might see Dolphins, Penguins, Whales, Orca and a wide variety of seabirds on any given day. 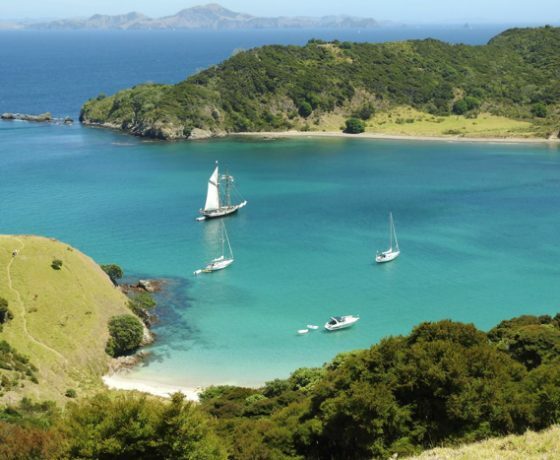 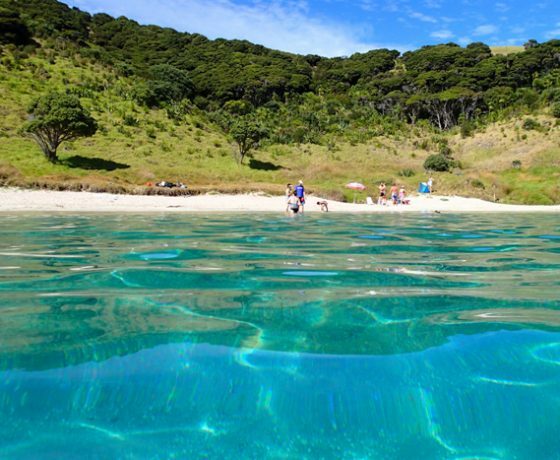 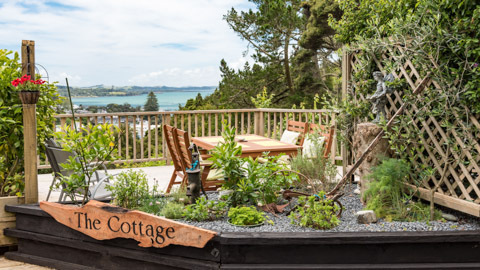 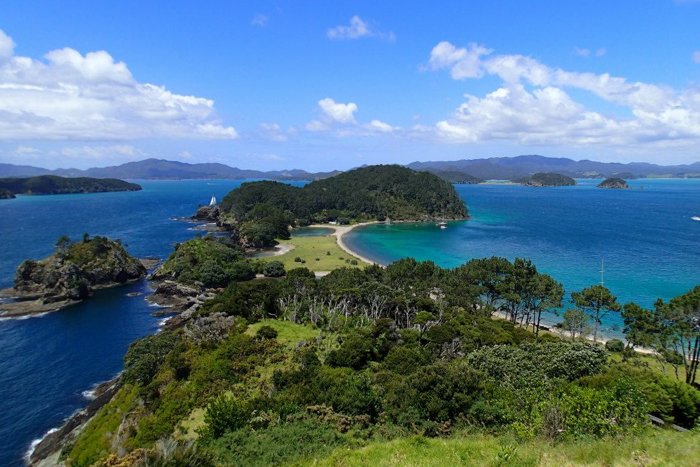 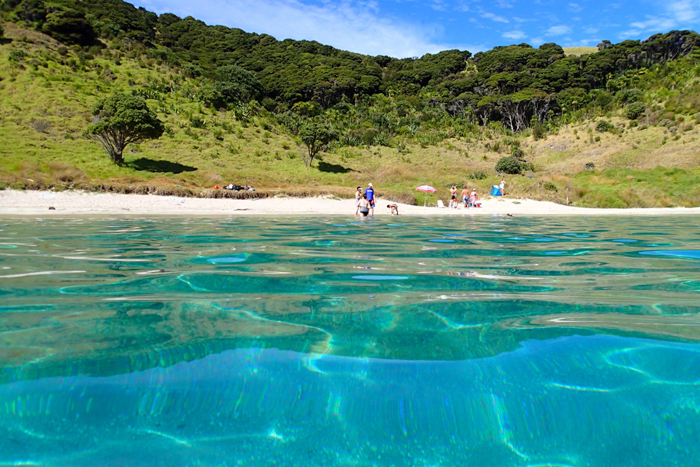 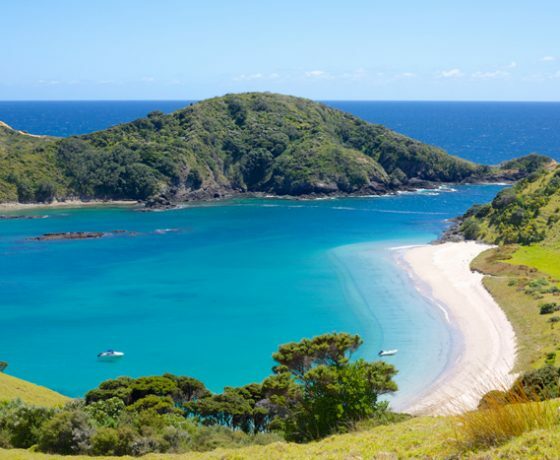 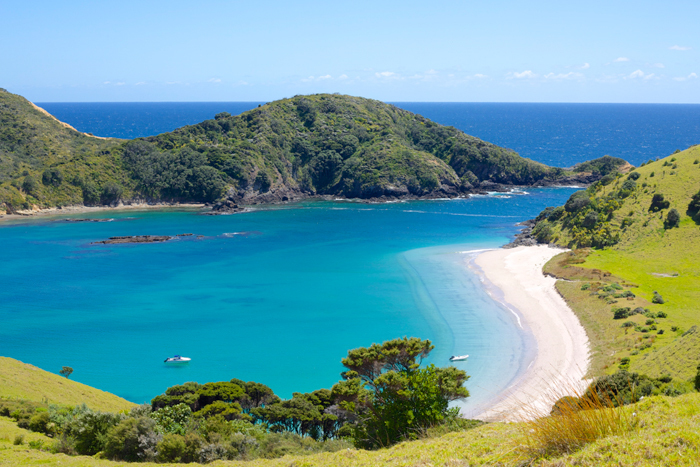 Enjoy an island stopover as we drop anchor in a tranquil island bay. 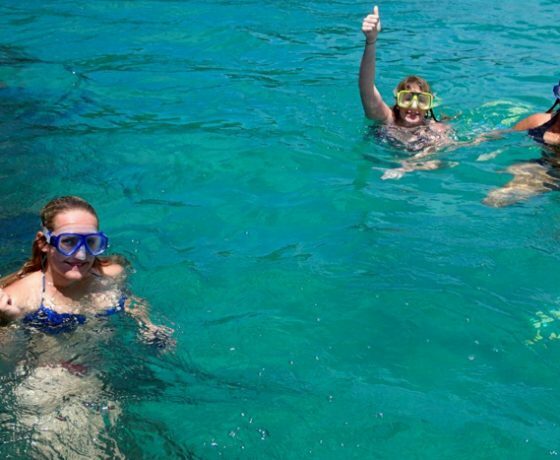 You will have heaps of time for swimming, snorkelling or the opportunity to take a walk to enjoy the 360′ panoramic vista’s on top of the island. 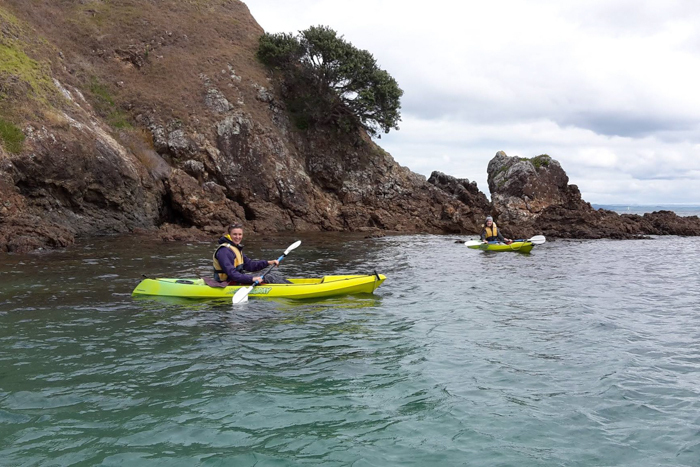 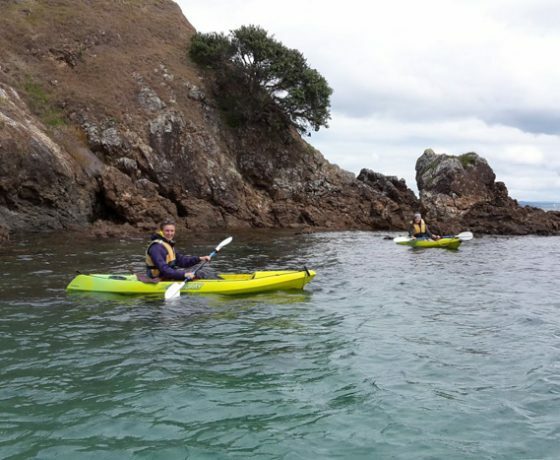 Included in the trip are our innovative ‘see through bottom’ kayaks, extremely stable and easy to paddle which enable you to steer through the crystal clear waters, past pristine beaches and rugged coastline, exploring the undersea world without getting wet. 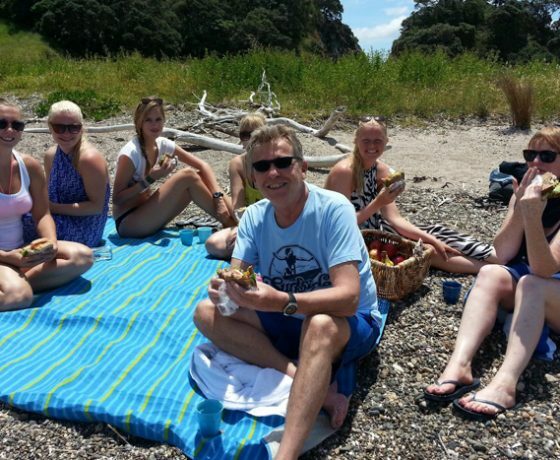 A sumptuous lunch is freshly prepared on board and brought ashore for you to enjoy on the beach during our island stopover. 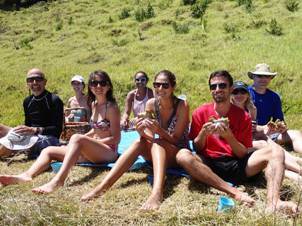 Our gourmet sandwiches/rolls, cookies, fruit and juice are well renowned and will really hit the spot. 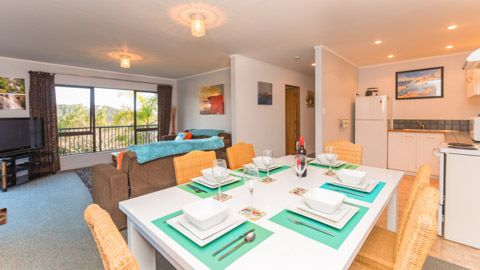 We can also cater to personal dietary requirements. 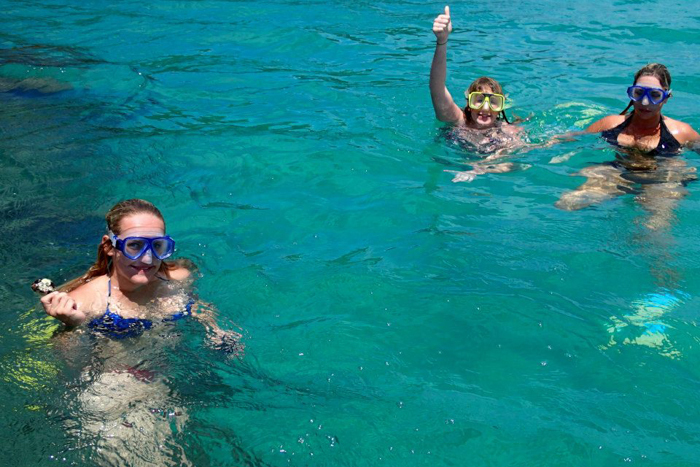 Your swimsuit, sunglasses, sunblock, extra clothing and of course your camera! 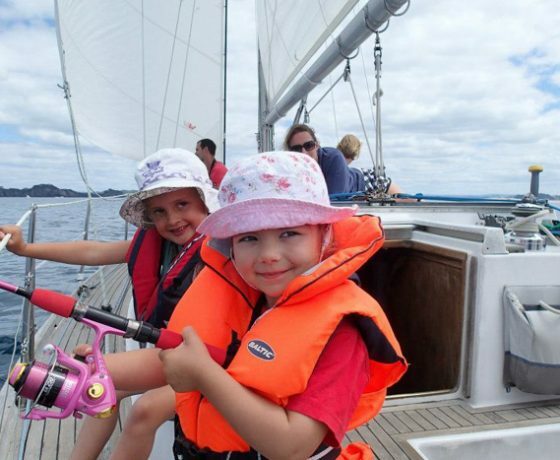 The majority of people sailing with us have never sailed before and are happy just to relax, but be prepared you may learn a little and become hooked.